Welcome to Addmas Measurements, Manufacturer and Supplier of Process Control Equipments. The company was established in 2001 in Ahmedabad. We Cater to Cement, Chemical and Sugar Industry and East Asia and Middle East are some of our major markets. International quality standards, on site calibration and express calibration services are the plus points of our organization. Our product list includes Electromagnetic Flow Meter, Diaphragm Sealed and Temperature Gauges. We offer Electromagnetic Flow Meters that are well known for their impeccable performance. 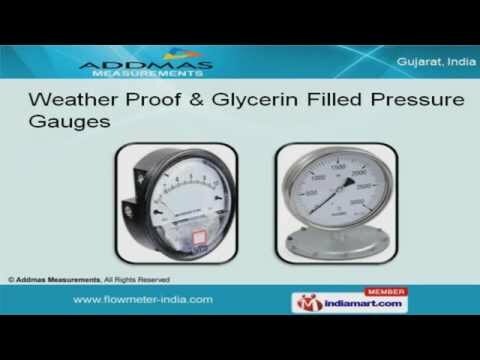 Weather Proof and Glycerin Filled Pressure Gauges are in huge demand across the global markets. Diaphragm Sealed and Temperature Gauges offered by us are widely appreciated in the market. We are offering a top notch quality range of Schaffer and Low Pressure Diaphragm Pressure Gauges at reasonable rates. We are instrumental in offering a high quality range of Promoted Range that are a class apart.